The Beatpixels ADVider (Pat. Pend.) is built from quality materials and components with high impact resistance in mind. The unit is designed to take the daily beating at the checkout while keeping your customers entertained. 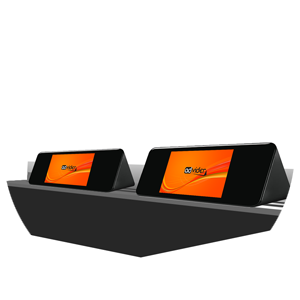 The built-in features like Wifi connectivity and Bluetooth makes the ADVider very versatile and easily extendable platform for your checkout signage deployment. ADVider is available in a multitude of colours to make sure it matches your checkout.  The modular construction means ADVider is easily extendable. Below you can find few of the accessories we offer. The ADVider can be bought as a kit with charging rail for in-store conveyor applications. The rail will mute the audio and charge the ADViders so they are always ready. 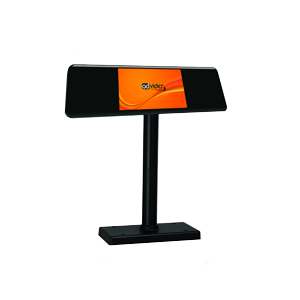 ADVider is available with a pole and base unit that converts it into a standalone cash register display. With the RS-232 interface it is easy to integrate ADVider into your current PoS system.